A dinner party is never complete unless finishing with a delicious range of cheeses, and the Creative Tops Gourmet Cheese Knives & Board Set is a beautiful piece and wonderfully functional. 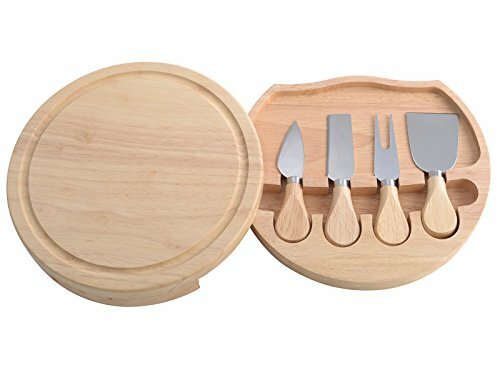 The set features a rubber wood board with a lid that slides open to reveal four delightful cheese knives with oak handles and stainless steel blades. A sophisticated way to serve your cheeses, guests will adore this stylish and practical piece.The Gourmet Cheese collection is a beautifully crafted range of accessories that are perfect for the discerning cheese lover.Designed in Northamptonshire, England, as part of the Creative Tops collection.